Jap Chae is a well known Korean dish that is made of glass noodles and vegetables with soy sauce and sesame oil. Glass noodles are also often called cellophane noodles, bean thread, or clear noodles. I love these kind of noodles! Somehow they are made of green beans. I have not figured out how, though. 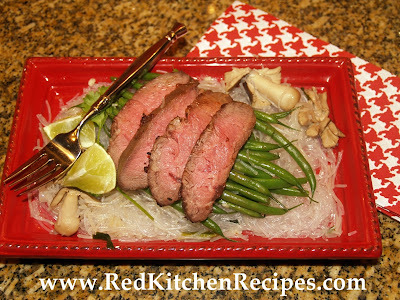 The recipe that I share here has a Vietnamese twist because I use fish sauce, a major staple in the Vietnamese culture. My husband could, well he does - drink the sauce out of the bowl when my mom makes it. I had a great evening with my friend Courtney the other night, who actually styled the above photo and shot it for me. Courtney and I﻿ share a love of healthy food, photography, fashion, celebrity gossip, and organic skincare and makeup. I may as well say it, she is an Arbonne rep who drives the signature beautiful white Mercedes. I met her when I was calling on gastric bypass surgeons in Arkansas. She was what reps call "the gatekeeper" for the doctor who had the the largest prescribing volume in the state and region. When the sales trainers say that relationships are key...well you're lucky when you find people who make it easy because they have so much in common with you! Sprinkle just enough wok oil to lightly - very lightly - cover the bottom of a pan. This stuff is so good - it is flavored with cilantro, onion, garlic, and ginger. I love infused oils. Also awesome in marinades! Add the green and white onions. Saute until soft, about 6 minutes. Mince or press the garlic cloves through a garlic press into the pan. Use the back of your knife to scrape the remaining garlic off the press. Toss with a wooden spoon or spatula. Add the mushrooms and toss to coat them with the flavor. Season with some fish sauce. Drizzle a little bit more of the fish sauce at a time, and taste until you're happy with the flavor. Add the chicken broth and stir fry until the noodles absorb the liquid. Garnish with cilantro, mint, and lime juice then toss to enjoy! 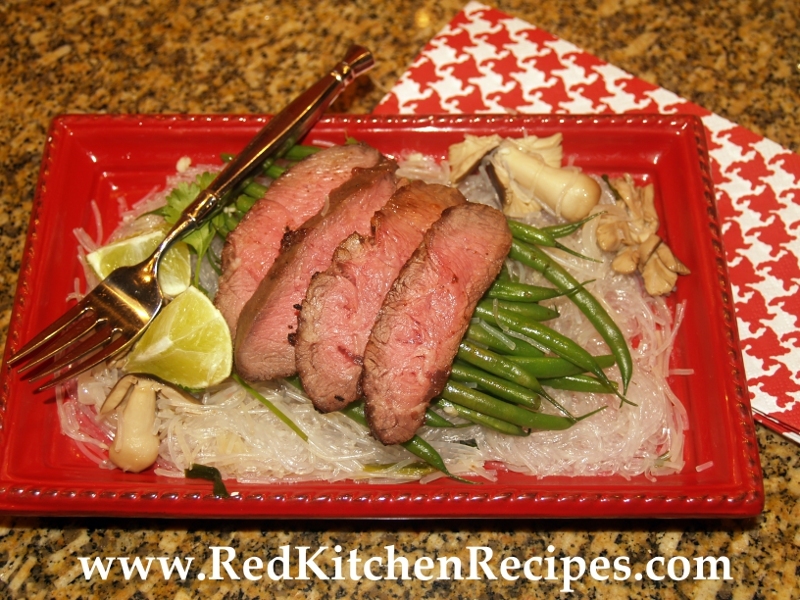 We topped ours with flat iron steak that was marinated in garlic, fish sauce, black pepper, turbinado sugar, and lime. The steak was broiled on one side for 5 minutes, then 8 minutes on the other side. We also added some green beans that could be cooked in the microwave. 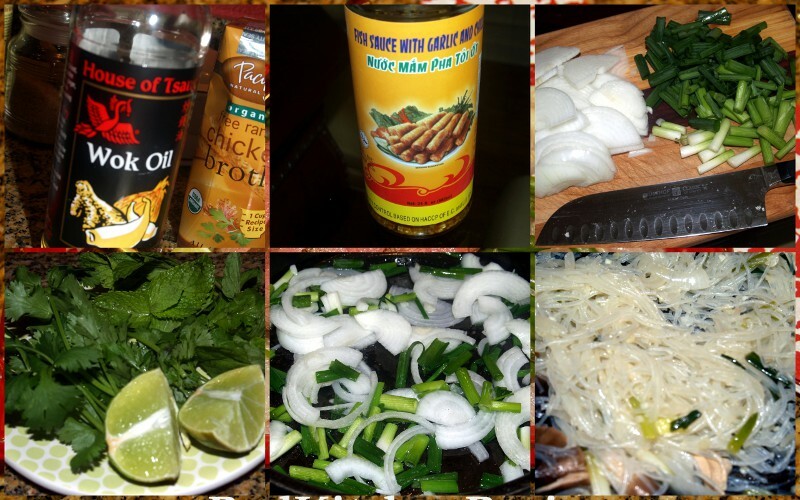 The photo of this Recipes For Stir Fry is truly looks delicious and I want to taste this one. 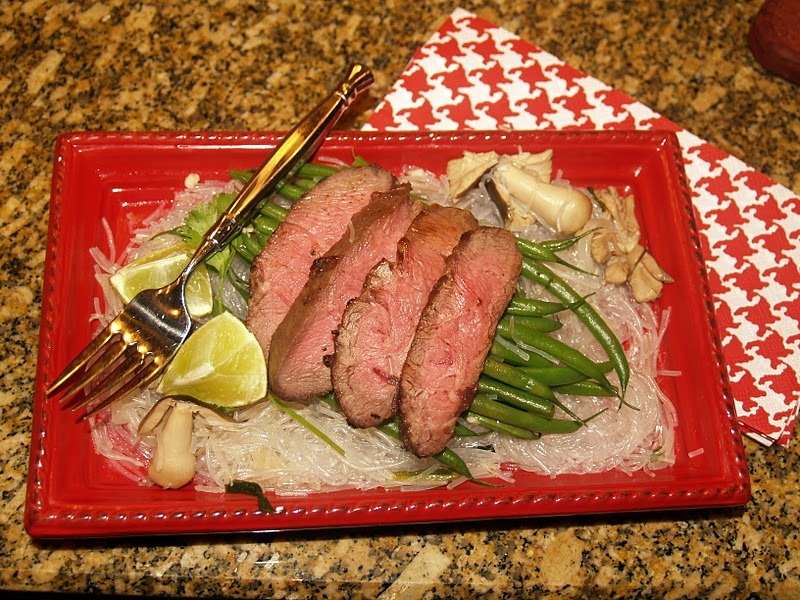 This article is well authored and easy to understand so, this recipe is easy to prepare. Thank you for sharing this one. Thank you for your nice comment! And thanks for coming by!